With Bookinglayer, you can choose to either set price points in multiple currencies, or work with automatic currency conversion. 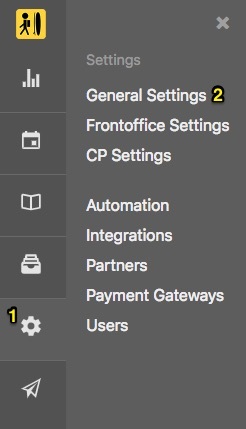 Automatic currency conversion gives you the option of setting price points in your default currency only, while still offering your products in any currency that you previously enabled in your Backoffice Settings. If there is no fixed currency conversion rate set in the currency settings, the price will be converted according to the latest market conversion rates. 6. Set custom conversion rates or leave the fields empty if you prefer to use daily updated exchange rates instead. Please note that, if you manually set inventory prices for each currency within an inventory item's setting itself, this will overrule the currency converter. Conversion rates are always rounded up. This means that if an inventory item would be USD 152,30 after conversion, Bookinglayer rounds it up to USD 153.